Graphite powder drawing and framed photograph. 1995. 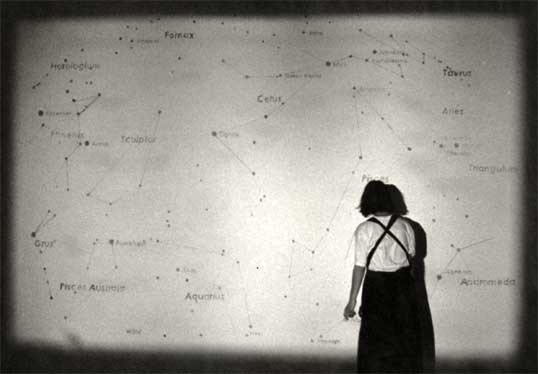 This is a graphite wall drawing based on a map of the night sky at the time when I was on residency in Mauritius. 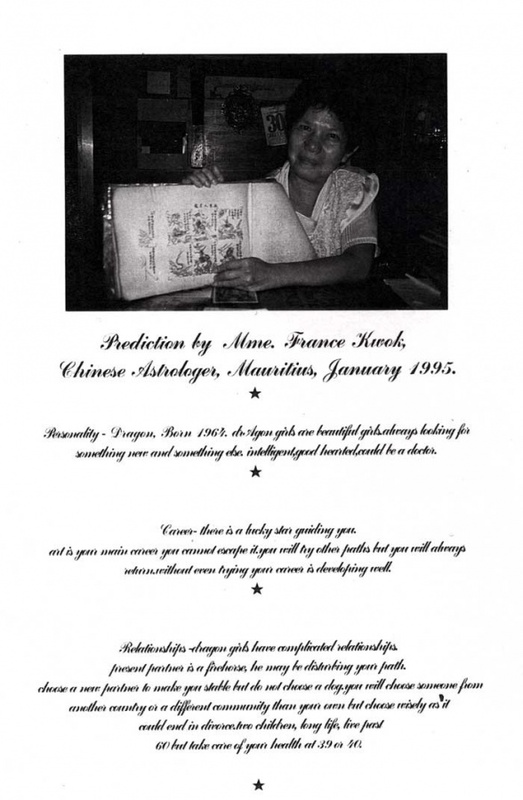 While I was there, because the night sky was so deep and so full of stars, i wondered whether the stars could predict my future, so I went to visit a Chinese astrologer, Madame Kwok. Her prediction is displayed next to the drawing.